"I'm glad to hear some well played Boccherini ..."
"Bravi! 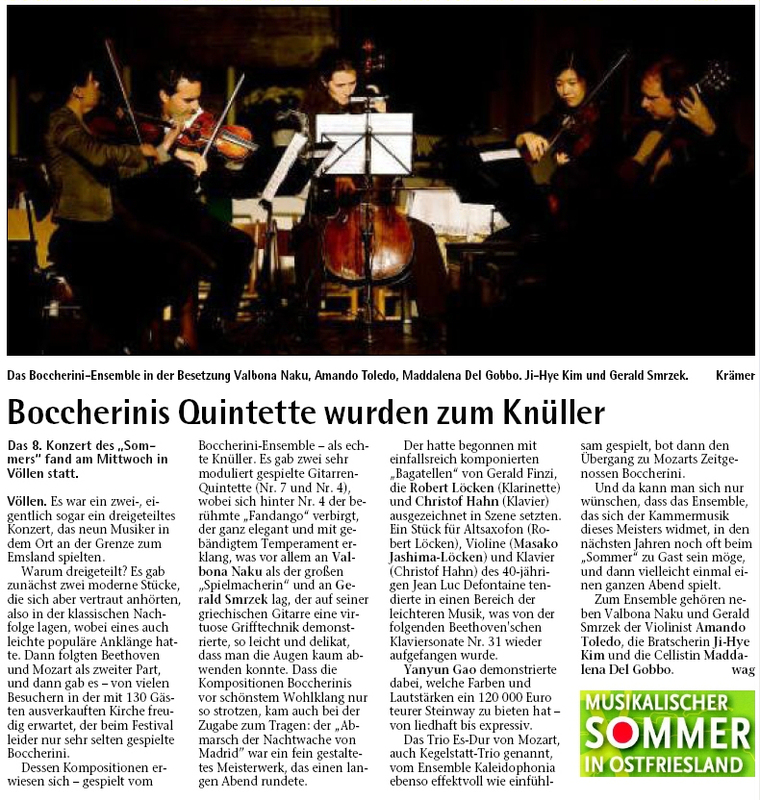 Boccherini deserves more space in the musical world." "... very good performance! It's very beautiful music!"